1) Readings & Healings can be held in person or over the phone. Michelle is the Founder and Owner of SoulTopia, LLC. Although a licensed attorney, she is passionate about her calling to assist others in gaining clarity and self-empowerment. In intuitive and healing sessions, Michelle receives clear messages for you and has a direct, yet compassionate, form of delivery. As an empath and “clair-blend” she utilizes “modality-matching” to determine the best tools suited to meet her client’s needs. 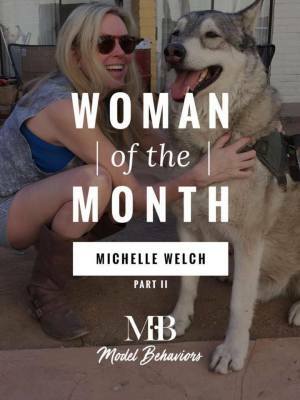 Check out Part I of "Woman of the Month" article with our Owner Michelle Welch in Model Behaviors. 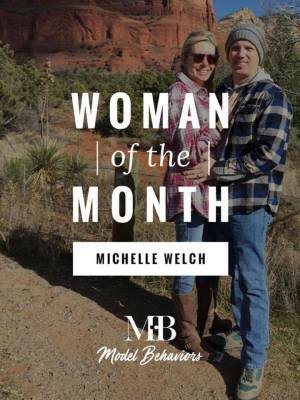 Check out Part II of "Woman of the Month" with our owner Michelle Welch in Model Behaviors. When I came across Michelle and her store, I was really looking for some help with my teenager. I was really struggling getting her motivated to go to school, and she was dealing with anxiety, headaches, and panic attacks. Not only did I get the guidance I needed, our world became brighter. We started taking as many classes as we could to expand not only our gifts but our love for ourselves and others through that knowledge. Michelle's teaching techniques are very adaptable to fulfill your needs. She gives as much knowledge as she possibly can to encourage your own thoughts, personal growth, and healing. Each of my family of 5 (age 5-38) has experienced her as a healer/reader as well. I love how straight forward and honest Michelle is. I myself have always been very quiet about my true self, and boy did she tell me things right on the money. Things and thoughts I have never shared with anyone, and she just knew. Michelle is the real deal and aways asks for the greater good of our growth. She has been an amazing teacher/friend/mentor. Give her a try and I promise you won't regret it!! I've been lucky to have both readings and healing with Michelle.The messages are clear and consistently correct. I love the stellar gateway healings and was lucky enough to experience her new sound essence healing. Integrity is important to her and it shows in everything she does .She is also a wonderful teacher who constantly strives to empower the people around her. I especially love her Thursday Intuitive insights class. I highly recommend her. Michelle is an amazing intuitive that has helped guide me on my path. Michelle is always very accurate in her readings. Michelle is also a kind and caring healer. Michelle's stellar gateway healing was an amazing experience that has helped me open up more intuitively. I would highly recommend Michelle to anyone! From the first time I walked into SoulTopia, back in the summer of 2015, I knew I had found a home and a friend. Michelle’s unique style of healing is so compassionate and personal. I also love to get quick readings from Michelle, to see where I am and if I am listening to my own guidance! And she’s a gifted teacher! I really enjoyed both levels of her Crystal Healing Certification. Michelle has made SoulTopia an oasis for my journey. Changed my life "Amazing" is how I would describe Michelle - As a teacher she has helped me work through my strengths and weaknesses. I can now understand how to cope with everything I ever felt, and did not know why I felt it. As a healer she has helped me see much more than the human eye would be able to see. I am grateful to Michelle for all her help. Michelle is one of the most genuinely kind and gifted individuals I know. I've had several readings with her and all have been extremely accurately and healing to hear. I have also had a Crystal Healing Session with Michelle which was amazing! I have attended several of her classes and I always come out learning much more than I could have imagined! Michelle Welch is amazing teacher, she loves it & you can tell that. I have learn so much at her intuitive class & crystals classes. I have had the new Sound Essence healing, it was just awesome!! It smell wonderful & made me feel good!! I have had many readings with Michelle for years now. She is always very ethical & honest & spot on. I would recommend Michelle highly she is a amazing reader, healer & teacher!! Michelle is an amazingly patient and gifted teacher. She gently guides you through your comfort zone and pushes you a little more. When you think you can't, she knows you can. Her compassionate words and energy work their way through the hardest obstacles and leave you with peace. Thank you Michelle, my third eye sees you too! I love Michelle! She is a great reader, teacher, and mentor. Her readings are always spot on! She doesn't filter or sugarcoat the messages. She tells it like it is but in a gentle, caring way. I have attended many of her classes and workshops and I am always amazed with the things I learn and experience. Some of which has been life-changing. Meeting her has been a blessing in my life and she has helped me in so many ways. I definitely recommend her! Michelle is a wonderful teacher, and I enjoy being in her classes. She thrives on sharing what she knows and loves to share both side of the spectrum. I have experienced both readings and healings by her and have been blown away with her accuracy of information. She makes you feel comfortable and explains where the path is leading but also reminds us that we have a choice. I would highly recommend her classes and seeing her for personal guidance. Thank you for all you do for the community!! Michelle's readings are very intuitive. I felt she completely understood where I was coming from and was able to guide me in the right direction. Michelle is also really easy to talk to, very open and non judgmental, accurate and funny. She rocks!! Michelle is one of those rare people who you feel you can connect with, and as a reader and healer that is a must have. I enjoy Michelle's readings because while some readers try and make every reading happy, she will give you the messages that will actually help. As a teacher you can see her love of imparting information while trying, and succeeding, to not overwhelm you. Since so many people in the community believe their word is gospel, I thoroughly enjoy her teaching mantra that if what she says doesn't resonate then find what does. I have had several tarot card readings with Michelle and each one has been an enlightening experience. Michelle has a unique way of blending her genuine kindness and compassion with a no-nonsense, tell-you-the-way-it-is delivery of the messages she receives. Her readings have always been spot on, providing insight into current situations as well as what the future holds. Michelle is an incredible intuitive teacher, reader and healer. The environment that she creates in her classroom for her messages or healing sessions is absolutely magical. She has an ability to make everyone feel welcome and invited. Michelle is also very connected and accurate during her readings. The messages that she has given to me have helped me in my personal life tremendously. She is exceptional ~ full of love and light! I've had readings by many people - Michelle has read for me a few times now & she is very good & gifted. I'm taking my first 6-wk class that she's teaching & she's a quite knowledgeable teacher & easy to follow. She's a beautiful spirit. Michelle Welch is an excellent reader that offers detailed answers to your questions. I was wondering about my life purpose and she gave me guidance and told me what steps to take next to reach my goals. She gave me a list to take with me in case I forgot about what we'd talked about. I even brought a family member in for Michelle to also offer her guidance to. She's someone I'd recommend. All of my readings from Michelle have been spot on and quite profound. There are still times that I refer back to what she said, some were even years ago. They help me understand my journey better and I can feel the deep truths that are in the messages by how they land in my being. I'm very grateful that our paths have crossed and my life has been improved because of it. Michelle is an avant-garde reader and healer that brings a new approach to giving messages, guidance and healing. I appreciate her integrity in giving clear guidance in a straightforward manner. Michelle is a clear channel for a new and different healing modality (forgot the name so put it here for me please) that is healing from an akashic dimension. I recommend that you get a healing or a reading from Michelle when you want a powerful, direct and clear message from a multidimensional aspect. 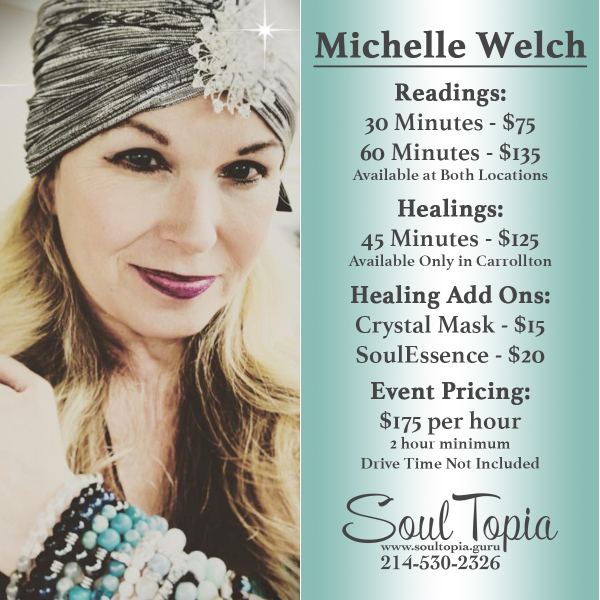 I highly recommend a reading or a healing with Michelle. Her readings are very accurate and have helped me make the best decisions on my life's journey. Her healings are extremely powerful. I've gone in several times feeling very heavy and I left feeling light and free. She's a gifted, beautiful soul that everyone should experience. Michelle has always given me great and accurate readings. She has helped me to heal an emotional pain that I have carried with me since my teen years. She feels me, literally, and knows when I am sad and finding it hard to remain open to being loved in this world. And she lets me know that I am loved just by reaching out to me and caring about me. Her Crystal Healing was a fantastic experience for me and opened me up. I highly recommend her. ~ R. M. W.
Michelle is such a beautiful and giving soul. She offers a quick free reading on the Soultopia facebook such as pick a picture and then you receive a message. I absolutely love these readings. 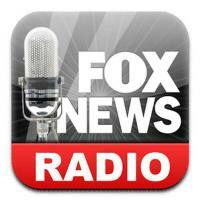 Always fun and very helpful. Plus, love learning about the crystals. I have also had a private reading -looking at the year ahead - and it was wonderful. She is so helpful and shares her knowledge and healing gifts; offering tools that have helped me on this spiritual journey. Thank you Michelle! I always leave inspired & renewed with beautiful energy & clarity after having a reading with Michelle Welch. I am always impressed with her insight & wisdom! I sit down with Michelle & say let us see what the cards say today without giving any information or questions or guidabce! Michelle never disappoints & is always spot on with her insight. One of my last readings Michelle shared that something new was happening in my life & it has a creative channel & i needed to pursue that. BooM! I had just started painting & i have embraced it & it is taking off ! A Reading with Michelle Welch is one of the best investments one could do for their betterment on so many levels! I look forward to my next Reading with Michelle! Soultopia is my respite where I can calm, unwind & renew my soul, mind and spirit! Soultopia provides the classes and tools for soul growth, ascendence and acceptance. All are welcomed. At a time when I was struggling with a hormone imbalance that caused anxiety, foggy thinking and emotional fluctuations, Michelle performed something she called Razzielle Healing. I know very little about what this is; how this works or what it does. What I do know is that the immediate result was that my mind was more clear and I felt more calm. In addition, within days, my doctor resolved the medical issue that had been looming for months." Thank you!